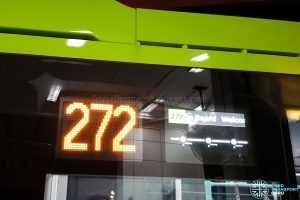 On Friday, 22 February 2019, Volvo B5LH Diesel-Hybrid Buses were launched on SMRT Bus Service 859, as well as Short Trip Services 859A & 859B. 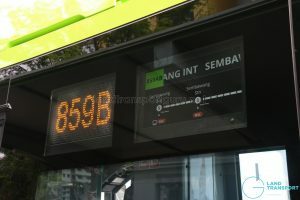 While equipped with new and functioning Passenger Information Display Systems, the PIDS is unable to reflect the service number correctly when operating on Service 859A and 859B – the service number is reflected as 859AB instead. 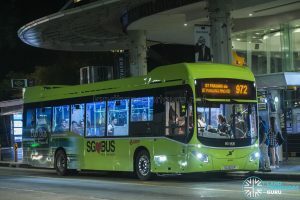 The Volvo B5LH was first launched on Monday, 10 December 2018 on SBS Transit Bus Service 272. 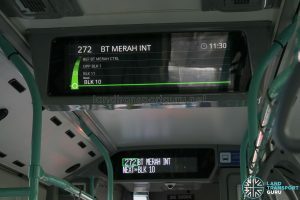 Following which, the bus was launched on SMRT Feeder Bus Service 920, SBS Transit Bus Service 59, and SBS Transit Bus Service 93. 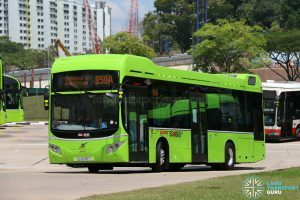 Earlier on 26 November 2018, LTA announced on their Facebook page that the Volvo B5LH Diesel-Hybrid Buses would be rolled out in December 2018. 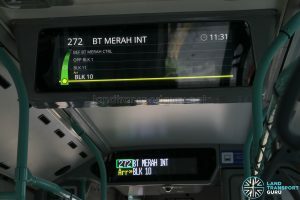 The first batch of 10 buses commenced operations under SBS Transit and SMRT Buses, and are expected to operate on multiple routes, including Feeder Service 272. 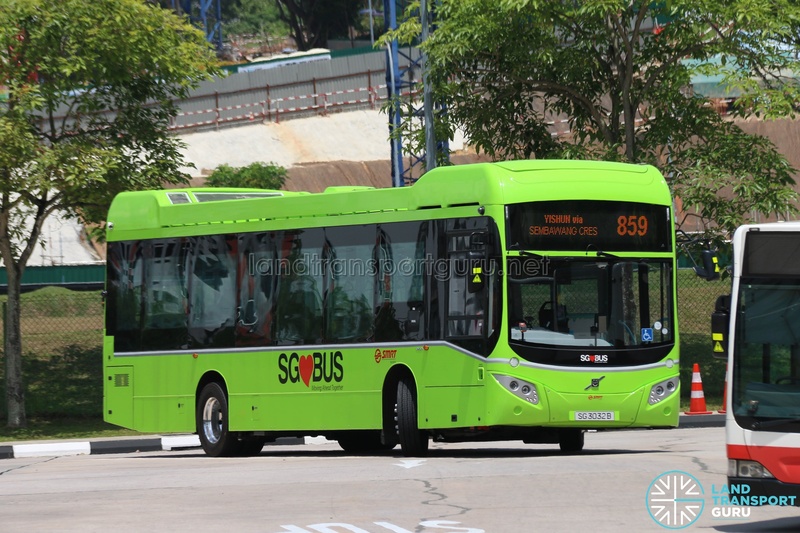 These buses were procured by the Land Transport Authority in 2017 as part of efforts to build a more environmentally friendly public bus fleet. 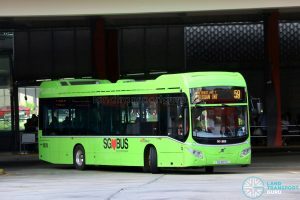 Buses were first spotted in Singapore in late August 2018, and registration commenced on 1 November 2018 (with SG3003K – SG3005E & SG3008Y to SBS Transit, and SG3007A, SG3009U & SG3016Z to SMRT Buses). 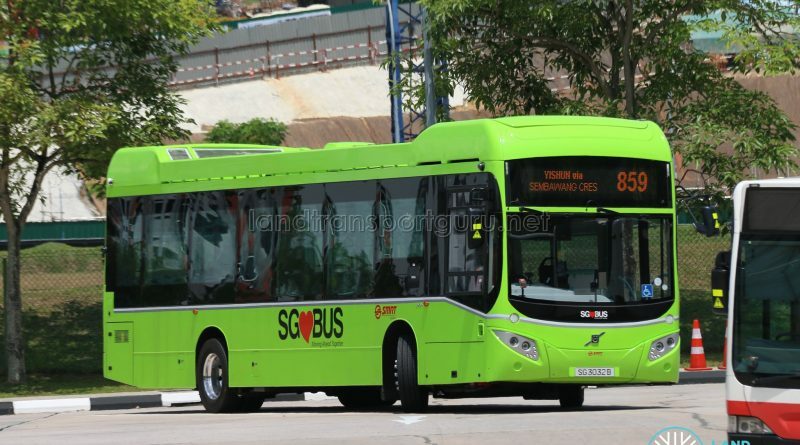 The Volvo B5LH buses are expected to be registered as SG3000T to SG3049D. 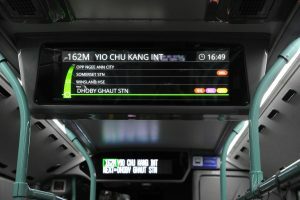 These buses come with a host of new features to improve the commuting experience, such as an enhanced Passenger Information Display System (PIDS) comprising LED text displays, LCD display screens and announcement speakers. 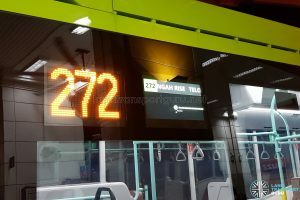 The system will feature the route number, destination, and the upcoming 3 MRT/LRT stations along with audio announcements. USB charging ports are offered as well. 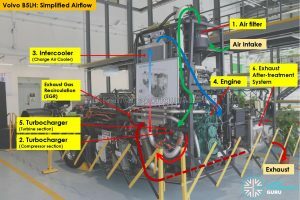 For bus drivers, new safety equipment includes an Advanced Driver Assistance System (ADAS) from Mobileye, a driver fatigue detection system from TNT Surveillance, Volvo vehicle telematics, and a tyre pressure monitoring system from FOBO. 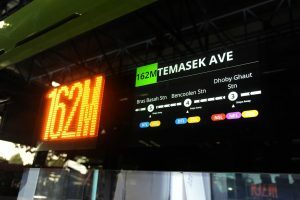 An automatic passenger counting system will provide data analytics for the LTA. 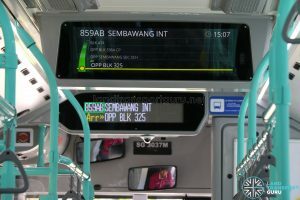 Previously, 3 diesel-hybrid bus trials were conducted by public transport operators SBS Transit and SMRT. 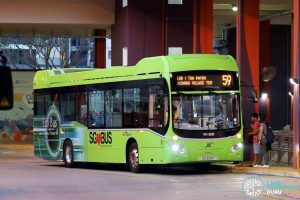 Read on at Hybrid Buses in Singapore. 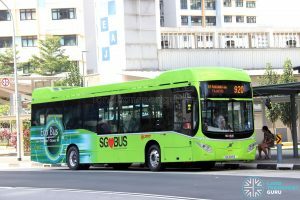 In addition to hybrid buses, the LTA has also procured 60 electric buses expected to enter service between 2019 and 2020. 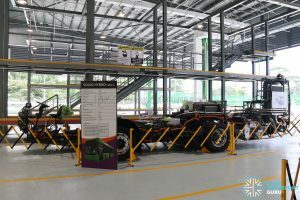 One chassis unit is housed at the Bus Technical Specialist Certification Centre (BTSCC), located at Ulu Pandan Bus Depot and used for technician training. 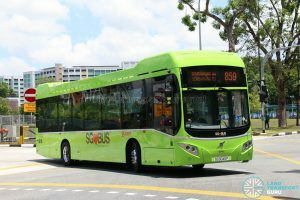 ComfortDelGro-owned Metroline operates Volvo B5LH double-deck buses in London, and SBS Transit is also part of the ComfortDelGro group. 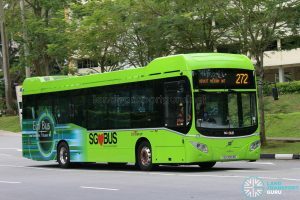 When delivered to Singapore (and exhibited in IAA2018), these buses were painted in an incorrect shade of green. 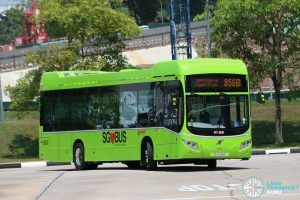 All Volvo B5LH buses were subsequently repainted in Singapore to a lighter shade of green matching LTA’s standard Lush Green. Check out Volvo B5LH – Chassis and Technical Overview for a technical coverage of the Volvo B5LH. 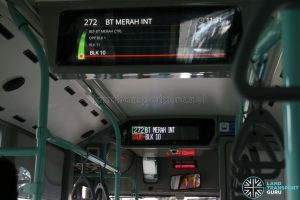 This new bus is a hybrid bus and is environment friendly. If I have a chance, I would like to take this bus. 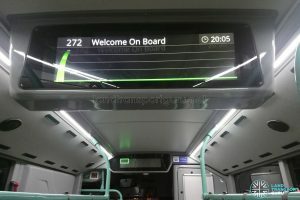 Will B5LH enter Tower Transit and Go-Ahead? I’m concerned that not all 50 B5LHs are allocated to SBS and SMRT. Again,I don’t know but let’s see abt smrt. 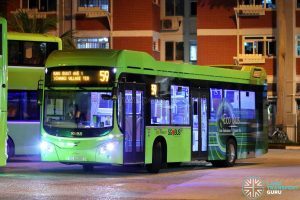 Can Volvo B5LH be on service 980? I don’t know,let’s see about Smrt . When will they start operating the buses ? 3010-3012 apparently allocated to SMB already. He might mean that the buses are transferred to SMRT.